Heroku operates the world’s largest PaaS cloud, continuously delivering millions of apps with a high volume of deploys per day. Our vision is to enable customers to focus on building business value, using our tools to accelerate development and reduce operational overhead. The Heroku Connect team’s mandate is to reduce friction between the Salesforce and Heroku platforms to create new developer facing tools and services that help customers unlock the value of their data using both traditional relational stores and alternative streaming patterns. The success of our current product has helped us to identify larger opportunities to build new services that solve a wider range of data integration and transformation challenges. We are seeking a senior backend developer who will enjoy the challenge of building, coordinating and scaling a distributed system while making design choices that shape how users think about their own architecture. Our team is fully distributed around North America and we are open to both local and remote candidates. Explore and articulate the connections and trade-offs between testability, reliability, observability and development velocity to ensure we are continually raising our standard of engineering excellence. Strong communication skills and a desire to learn while collaborating closely with your team in synchronous and asynchronous ways. Help deliver our roadmap by defining and developing features that enable users to quickly create, deploy, operate and manage their data driven applications. Monitor and debug performance, reliability, and overall health issues within the distributed systems maintained by the team. Proficiency in one or more of the core technologies deployed by the Connect Team including Python, Postgres, Kafka and Java. 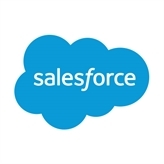 Coordinating with internal Heroku and Salesforce teams to improve the service offered to our mutual customers. Want to get notified about new jobs at Salesforce?